"I mix this with a shot of espresso, coconut milk, and ice for a paleo-friendly iced coffee. Store in an airtight container in the refrigerator for up to 2 weeks. Store in the freezer for later use." 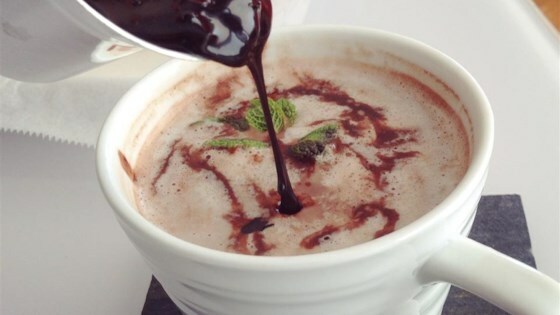 Combine agave syrup and cocoa powder in a saucepan; stir in mint leaves. Bring mixture to a boil and cook for 3 minutes. Remove saucepan from heat and cool syrup to room temperature. Strain syrup through a fine-mesh strainer, pressing the mint to extract the liquid.